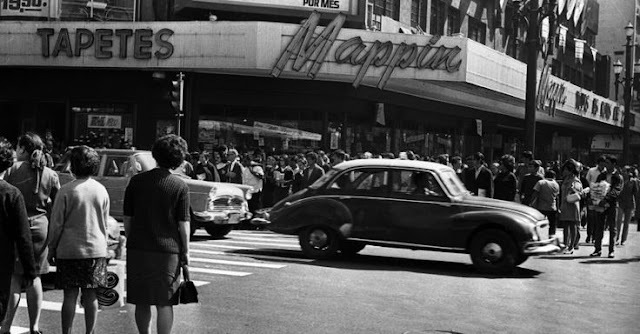 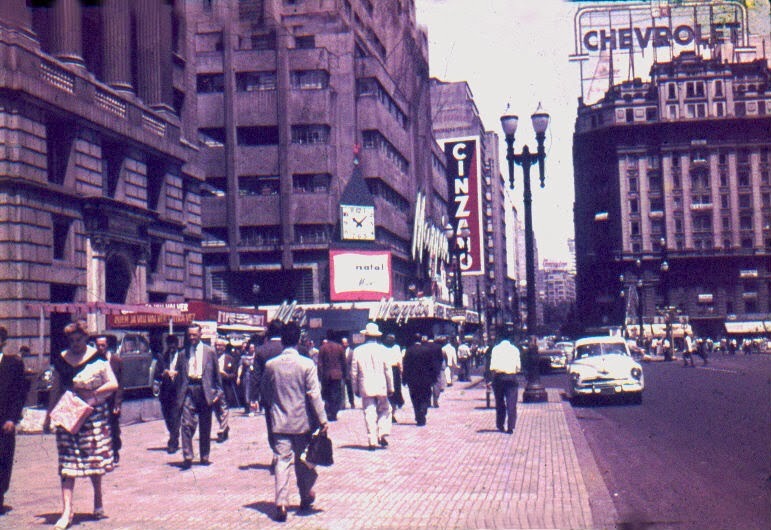 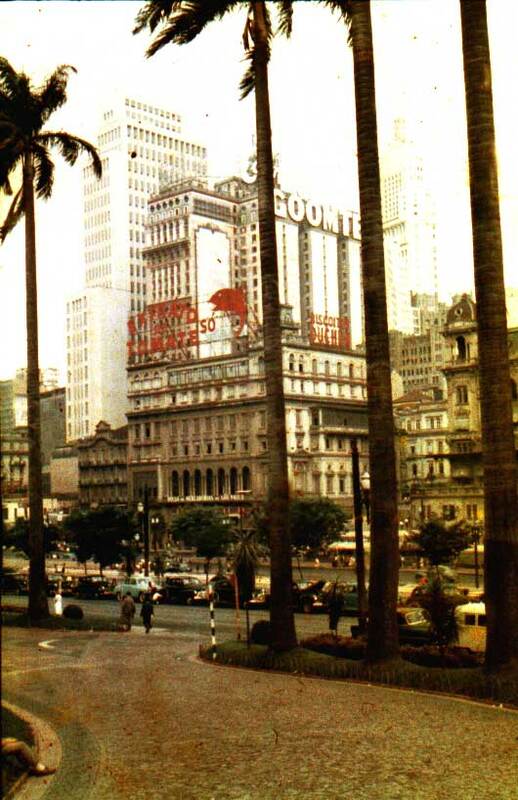 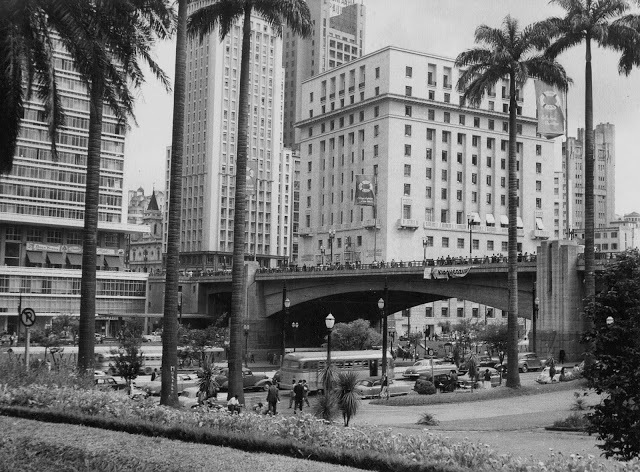 Edificio Conde Prates & Othon Palace Hotel being under construction in the 1950s. 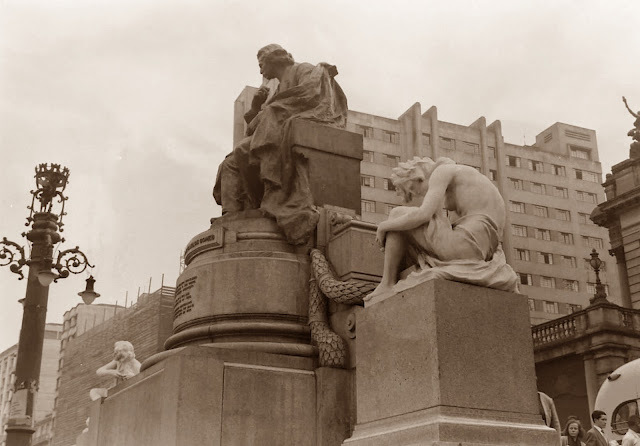 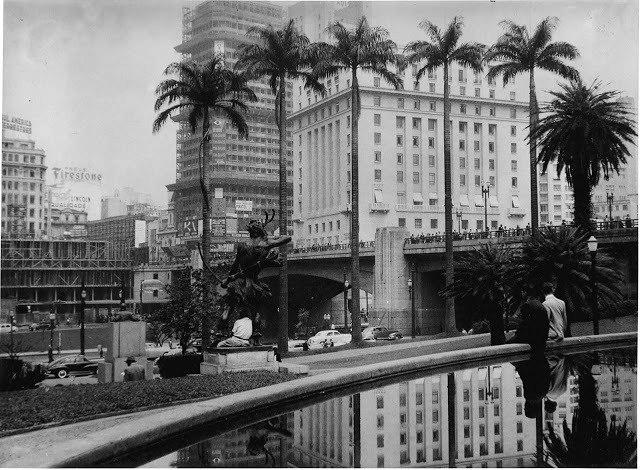 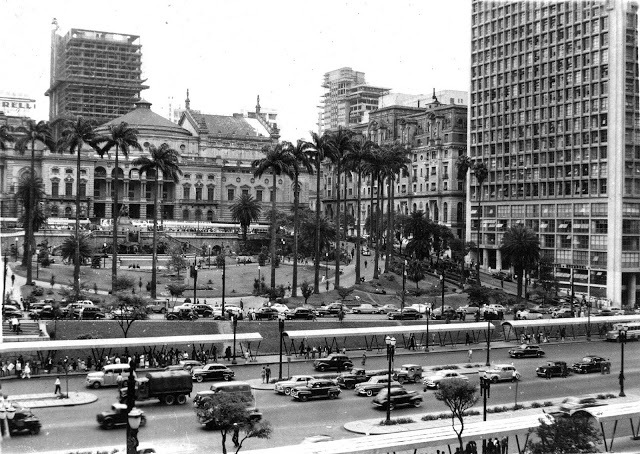 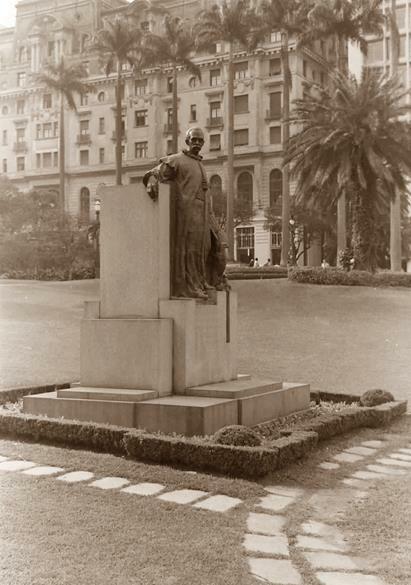 both buildings already finished - probably 1959. monument to architect Ramos de Azevedo circa 1953.
monument to Ruy Barbosa on Praça Ramos de Azevedo in 1953. 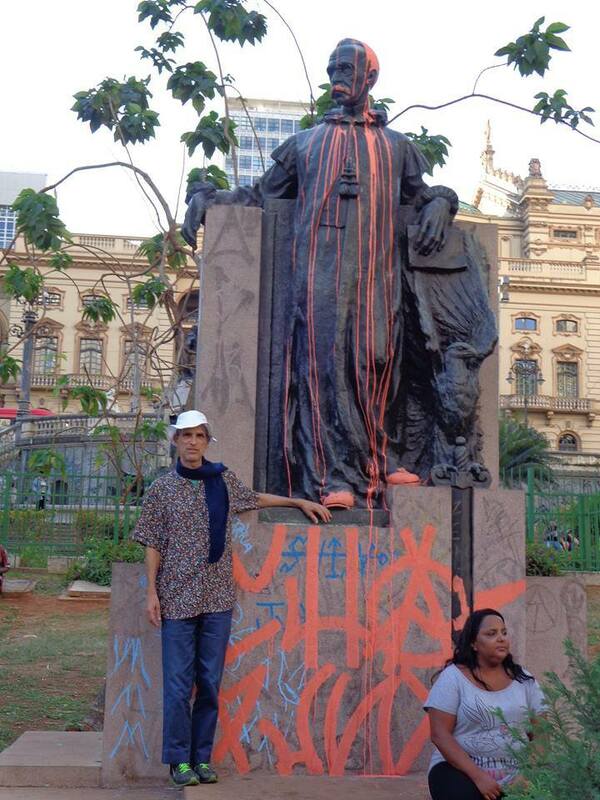 Lulu Pavone in front of the same Ruy Barbosa statue on 29 October 2014.